Fortunately, with enough love, most vegetables can be made palatable. (Granted, they still lack the convenience of getting carryout fried chicken.) 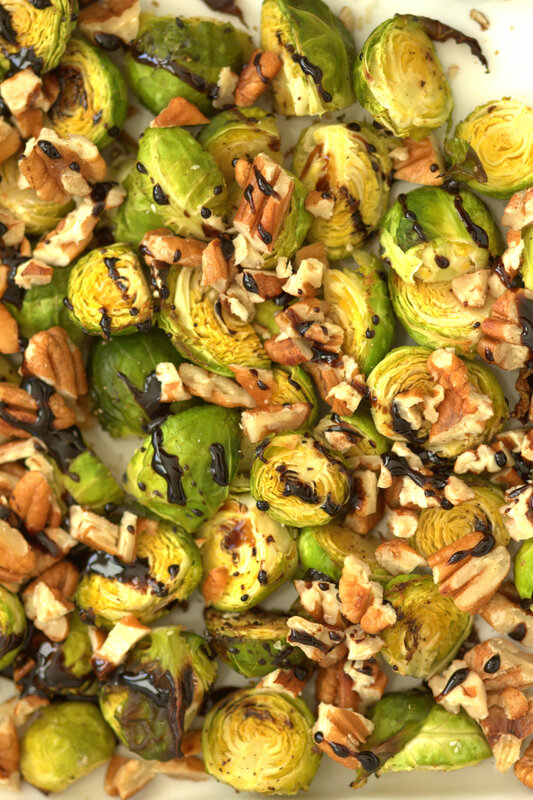 Nonetheless, I love you, Brussels sprouts! And, honestly, these really weren’t all that much less convenient than getting carryout. Plus, they were definitely healthier. 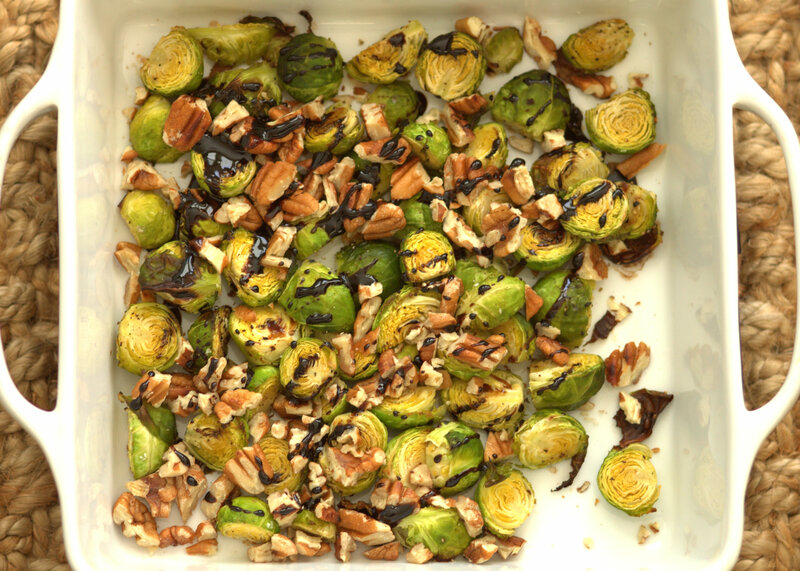 I know, I know… they’d be “healthier” without the syrupy sauce and the equal ratio of sprouts to walnuts. But I wouldn’t eat them otherwise, so… there we have it. 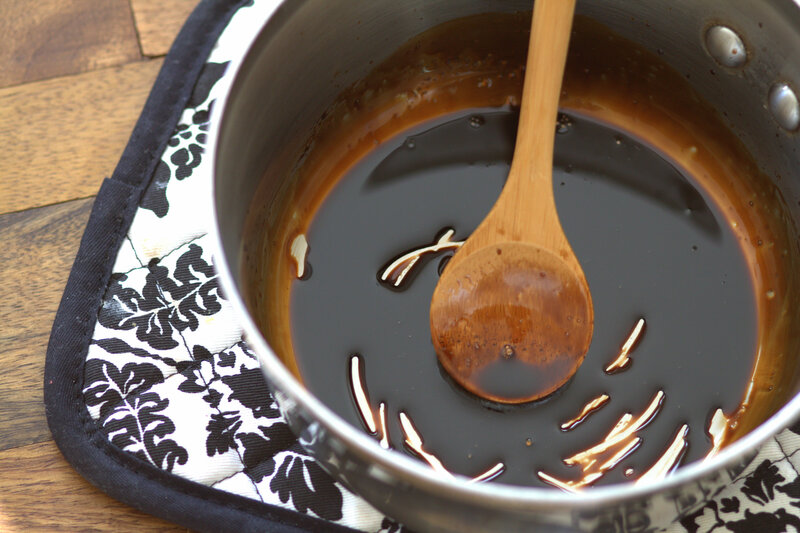 I let this one simmer down a little longer, and it became so viscous that the spoon would create lasting grooves in the syrup. While it was still hot on the stove, it seemed perfect, but after cooling down a little, it was actually difficult to pour. Maybe a little bit too thick? I’ll keep trying! 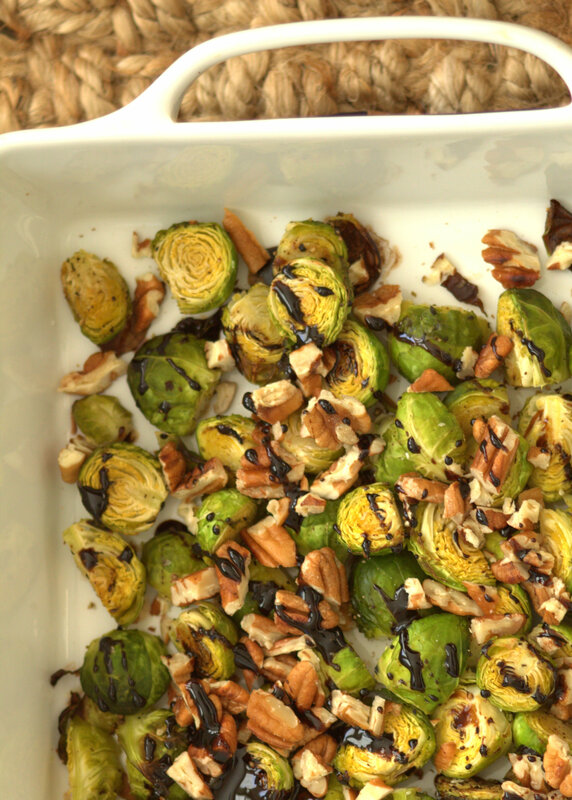 Brussels sprouts are in season during the winter months, and they’re juuuuust reaching the end of their peak season. Happily, unlike some other more finicky foods, they’re still available all year – you almost wouldn’t notice that they even have a season! Nonetheless, it just feels right to eat them during the winter. 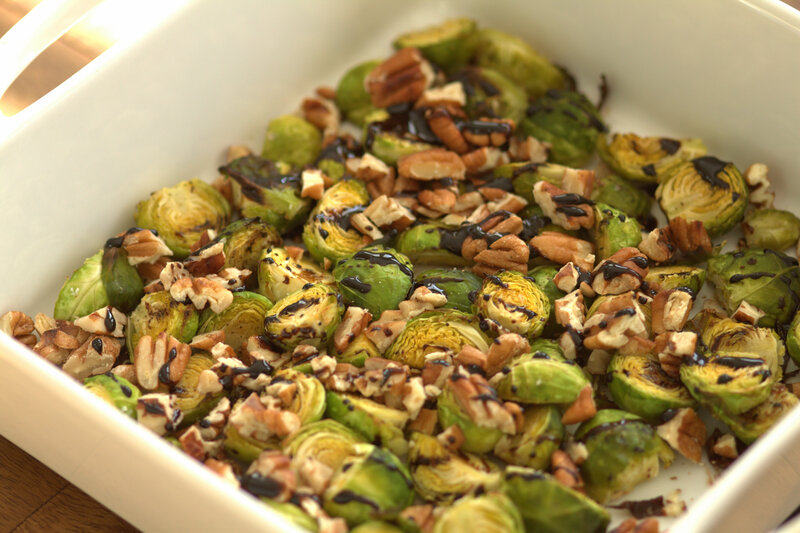 I like having warm roasted Brussels sprouts in the winter, and fresh thinly chopped Brussels sprouts in salads in the summer. That’s my personal Brussels sprouts seasonal variation. Going to try these very soon! I think you already have! New Year’s Day? Haha, I think you’re right!